A bucket with a hole drilled through its lid works perfectly as a primary fermenter in brewing. 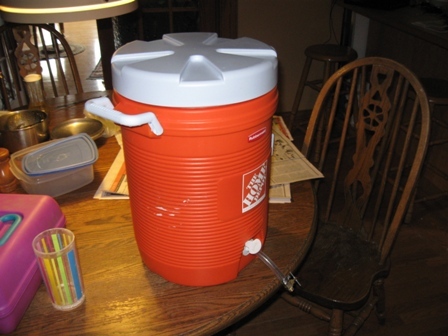 You may choose to add a spigot to the side, which will allow you to tap the liquid off without fussing with siphons or having to lift a pail full of heavy liquid. 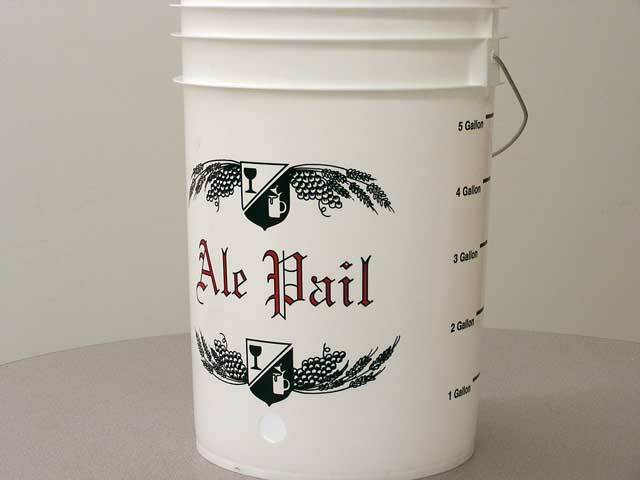 There is a commercially available version called the “Ale Pail” (which is technically a 6.5 gallon bucket) which comes pre-manufactured with a spigot, air vent and measurements up the side. If you have come here interested in home brewing, but are a beginner to the craft, I highly recommend listening to the Basic Brewing podcast. You might also enjoy our one minute wine recipe, where we explain how to easily produce your own wine.